How does the Catholic Church exist in the historical context of the world? The course The Catholic Church, ideal as a one-semester course for eleventh- and twelfth-grade students, explores the developments, people, and events that have shaped the Church. Each chapter focuses on one time period. Using personal vignettes and special readings to make the history more personal and specific, the textbook engages teens to see the full historical dimension of the Catholic Church. Full-color, original illustrations, photographs, charts, cartoons, timelines, and maps acquaint students with people, places, and movements important to the history of the Church. 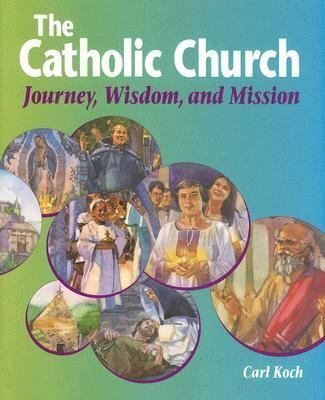 Study aids include review questions after each section and activities in the margins of the text to personalize the material.Koch, Carl is the author of 'Catholic Church Journey, Wisdom, & Mission' with ISBN 9780884892984 and ISBN 0884892980. Loading marketplace prices 37 copies from $0.02 How does the rental process work?